What salute are they referring to? 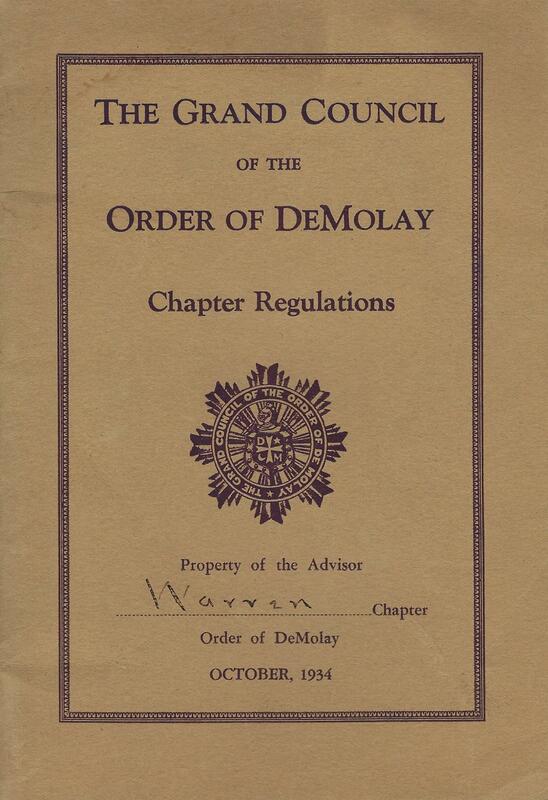 Was there an official DeMolay Salute? Or are they referring to the sign of one of the Degrees of DeMolay? “Officers or members need not salute MC when addressed by him, only rise and address the MC as "Brother Master Councilor." That direction lingered until the 9th Edition (1963) when it was removed completely. 1.) Why do you think the military salute was built into the 1st Edition of the Ritual? 2.) For what reason or reasons might the Ritual Committee have decided to remove the military salute from the ritual and customs of the Order? 3.) Why did it take so long for some Chapters to drop using the military salute? 4.) Do you really think the practice of giving the military salute could have lingered all through the 1940s and 1950s? Or was it just something that was ignored for a long period of time? 5.) 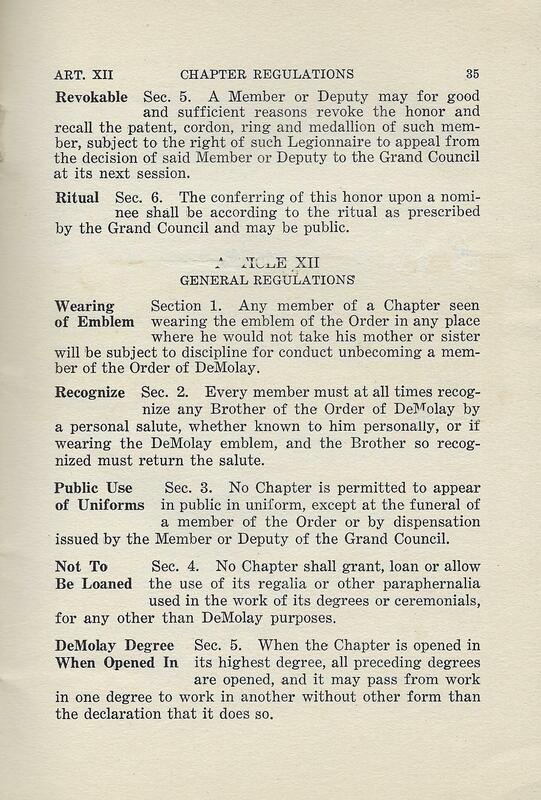 Do you know of any Chapters that insist on following old traditions that are NOT a part of today’s DeMolay Program?